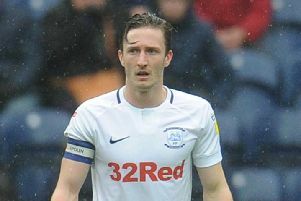 Alex Neil believes his Preston North End side put the Championship on notice with their performance against Norwich City. The Lilywhites hit top form in the 3-1 win that knocked the high-flying Canaries off top spot. The fine performance at Deepdale extended PNE’s unbeaten run in the league to six games and moved them up to 13th in the standings, eight points shy of the play-off places. “It was an incredible performance from us,” said Neil, who has challenged his in-form side to make an unlikely run for the top six. “Norwich were top of the table on merit and we’ve picked them apart. “I can’t be any more pleased with that. “I told the lads we needed to go and beat a team at the top end of the table and show how good we are, showcase our credentials and let people know what we are capable of. “They’ve come off the back of a derby win and I think they’ve lost about one game in 20 which shows you how well they’ve done. “They went to Leeds and won 3-1 and they’ve been to difficult venues and got results. The Lilywhites scored less than two minutes in through a Ben Davies header, Paul Gallagher doubling their advantage 24 minutes in. Man of the match Declan Rudd then saved a Marco Stiepermann penalty just after the half hour with PNE having to withstand plenty of pressure early in the second period. After some crucial stops from the ‘keeper, Sean Maguire made sure of the three points with his first of the season 20 minutes from time. Teemu Pukki did pull a goal back for the visitors in stoppage time. “I was disappointed with the late goal and disappointed for Declan more than anyone because I thought he had a good game,” said Neil. “He made some good saves. “He played very well but I would disappointed if Norwich felt they should have won the game and he was the difference because he made a few good saves. The penalties were crucial in the eventual outcome. Gallagher converted after Darnell Fisher had been brought down by Emiliano Buendia with Rudd then taking centre stage with a low save to his right after Ben Pearson’s challenge on Onel Hernandez. “I’ve heard their manager say the first one isn’t a penalty but I’ve seen it back and the lad is the wrong side of Darnell and has come into the back of him,” said Neil. “Ben’s is a definite penalty as well.